Two recently published reports detail the intensification of human rights abuses in Tibet and Xinjiang. The Chinese regime has continually cracked down on both regions, which were taken over by the Chinese Communist Party as territories of the Chinese state, but historically were home to ethnic groups with different cultural and religious traditions from those of the Han ethnic majority. ChinaAid, a human rights organization focused on abuses in China, reported on its website on May 4 that many Uyghur and Kazakh ethnic people who were detained at “re-education centers” in Xinjiang said they were forced to take medication or were injected with mysterious substances while in custody. Back in December 2017, media reports emerged that thousands of Xinjiang residents had been placed into detention camps, where Uyghurs were indoctrinated with “Mandarin [Chinese], law, ethnic unity, de-radicalization, and patriotism,” according to an Associated Press report, citing a memo from the Xinjiang human resources office. 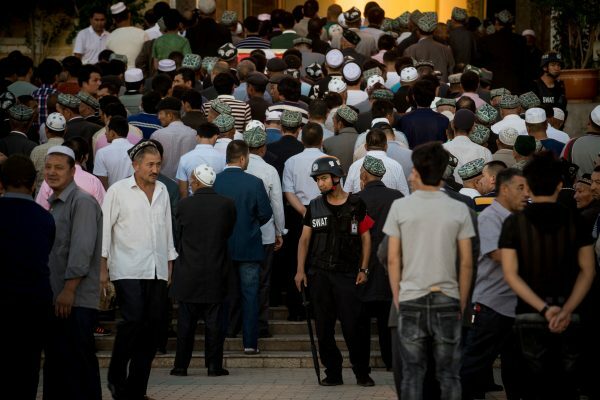 Many Uyghurs practice Islam; the Chinese regime has used a narrative of “extremist threats” to justify its strict surveillance and control of the Xinjiang region. Kaben Bekenay, a Chinese national who now lives in Kazakhstan, told ChinaAid that his nephew Berdibek Jengisbek, who attends university in the central Asian country, was taken by police to a re-education center upon returning to China for winter break. Jengisbek was forced to take unknown medications, which have since caused memory loss and infertility. Women who were detained said that after they were forced to take medications, they stopped menstruating or had menstrual irregularities. Other former detainees report mental instability. Some have suddenly passed away, according to family members. There is no legal procedure for someone to be placed in such a detention center. Police often round up residents arbitrarily, according to ChinaAid. Petitioners, dissidents, and some human rights lawyers have also reported that after posting online content critical of the Chinese regime, they were rounded up and sent to mental hospitals, where they were forced to take medications that have since caused similar negative health effects. Meanwhile, the Tibetan Centre for Human Rights and Democracy released its annual human rights report on May 7, detailing the current situation in Tibet. The Chinese regime has intensified efforts to surveil Tibetans by dispatching CCP cadres to villages, under the guise of “poverty alleviation” programs, according to the report. 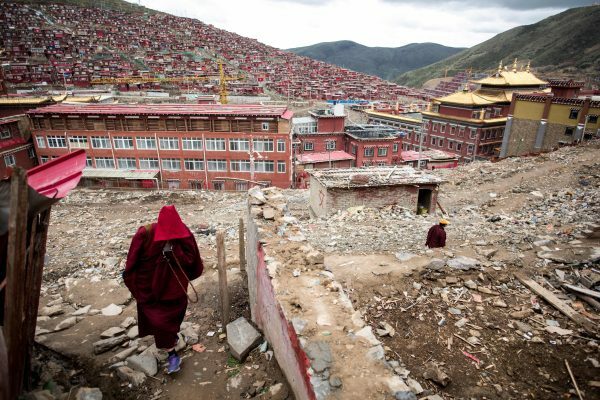 The system began in 2011, when more than 20,000 Party members were sent to 5,000 villages and 1,700 monastic sites in Tibet to spy on and report back on the activities of residents and about 46,000 monks and nuns. The system—promoted as a “poverty alleviation” effort—was supposed to end in 2014, but has been extended indefinitely. 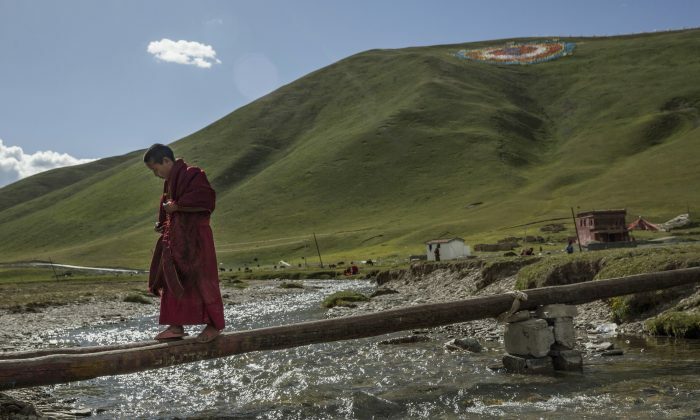 The Chinese regime uses another so-called “poverty alleviation” effort to relocate citizens living in “harsh conditions” and “resource-poor areas.” Using the excuse of eliminating poverty and protecting the environment, the regime has targeted millions of Tibetans living in rural areas for resettlement, uprooting them from their traditional livelihoods, according to the report. In addition, almost 700 “convenience police posts” have been set up in the region, where services like phone charging, Wifi, and free newspapers are provided, but they are in fact 24/7 police patrol centers. In the past year, the Chinese authorities in Tibet have also mandated the collection of DNA and blood samples and have employed high-tech surveillance systems, like voice recognition. The report described the case of a Tibetan youth who was detained for more than two weeks because he had on his mobile phone a photo of the Dalai Lama, the spiritual leader of Tibetan Buddhism, and an image of the Tibetan national flag. It does not explain how the authorities found out about his photos, but the Chinese regime has developed spyware technology that can detect banned content on phones. Most Tibetans practice Tibetan Buddhism and consider the Dalai Lama to be a sacred figure, but the Chinese regime has continually clamped down on religious practices, forbid residents from expressing their devotion, and banned images of the Dalai Lama and any public praise of him. In September 2017, the Chinese regime released a revised version of its “Regulations on Religious Affairs,” which outlined “sweeping new restrictions that will allow authorities arbitrary discretion to further equate religious practices and activities with so-called criminal acts of ‘breaking ethnic unity,’ ‘splitting the nation,’ and ‘carrying out terrorist activities,’” according to the report.